Alfred Schutz’s critique of Ludwig von Mises, while not sacrificing value-freedom within economic science, opened up possibilities for a politico-ethical critique of the economic sphere. 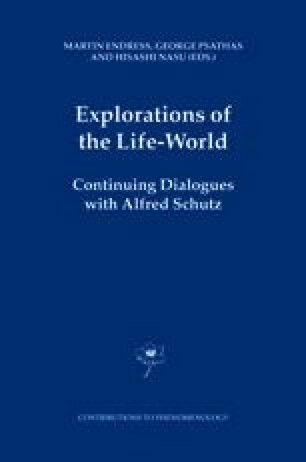 Schutz’s account of rationality, however, lacked resources for developing the theoretical bases of this critique. Although his political writings proceeded formally and descriptively, observing the constraints of value-freedom, there are potentialities in some published and unpublished works for developing an ethical theory, albeit a rather formal one. This paper articulates the lineaments of that theory, based on a concept of “participative agency” that emerges from the ethical commitments underpinning the Austrian economic tradition.